FULL SUSTEM FLUSHING IS BEING PERFORMED, which means we will be opening and flowing all 70 hydrants in Farmingdale! That time has come upon us again to flush the water system. The bi-yearly switching between our two sources which was completed April 1st. The Boroughs allotted diversion rights of the aquifer ground water and our service agreement with New Jersey American Water, which requires us to complete this task each time. During those switch over times we can have many small and sometimes larger issues, but one common issue is the need to clean out the water lines. To do this we need to flush the system, which sometimes stirs up some sediment in the water lines causing discolored or “brown” water issues. Unfortunately its part of operating a water system. To help you plan to avoid these times, we are supplying the scheduled dates.You can plan according to the list below to know when your area will be flushed. ~If you have been out of the house all day, initially try to run your cold line closest to where the service comes into the house for a few moments to look for discolored water, this way you can help avoid any of it getting into the rest of your water lines in the house. If you are experiencing any discolored water, run it until you get clear water, it should not be very long but it depends on your usage during the day and your location in the system. The confirmation of the schedule will be posted on the Borough web site the morning of the flushing so you will know of any changes to the scheduled date. We have anticipate it to take the 5 days we outlined, but we are allowing for up to 10 days, meaning the following week if necessary to complete this process. This mainly depends on how quickly the tank recovers during the flushing and in the case of an emergency situation which would require us to possibly alter this plan. Emails will be sent out if we have any delays, deviations from this schedule will be posted on the Borough website. I am proud to write to you today to share the good news about the Borough of Farmingdale’s renewed participation in the Monmouth-Ocean Area Energy Cooperative which is a state-authorized “Community Aggregation Program”. We previously seperated from the Co-Op with Howell, but have become the lead agent in a new Co-Op along side Point Pleasant including the towns of Manasquan and Ocean Township. Residents should have already received letters like this Daly-Energy Co-Op Letter, which is my letter. The program is designed to offer you and your neighbors reduced rates on your electric bill. This is the same program that was in place a few years ago, and it is important to point out this is an Opt-Out program. You must request to not be included if you do not want to take advantage of the program. It is not done this way to trick users into the program, it is the way the programs are required to operate per NJ State Law N.J.A.C. 14:4-6.1 et seq. The bottom line is that when we purchase energy from bulk re-sellers, together as a community, we are able to offer lower, more stable rates to the residents. As a governing body I feel we would be remiss not offering the residents ways to save money. The attached documents contain important information explaining the Community Aggregation Program established by Farmingdale to provide lower electric generation rates than you would currently pay with JCP&L. We are pleased to offer this cost saving program for your electric bills! Some of you may recall that Farmingdale participated in the program at the initial on-set back in 2015 and we are pleased to be participating again and offering even lower rates. Please take a few moments to read through the enclosed material. An example of savings realized by those that continued in the program were known to be saving approximately 12%, and even though each user is different, there is a real benefit to this program. Please know, its ok if you are not interested, it is something that is being made available to the residents of Farmingdale. Your participation does not affect your neighbors opportunity to take part in the program. The link below goes to the NJ Agrigation FAQ's page which you may find helpful in making your decision. http://www.njaggregation.us/frequently-asked-questions-v2.html.You can also watch this video to get more information, https://youtu.be/_Q3svJ66gh4. If you have no interest, its OK, just send back the letter in the pre-addressed and stamped envelope included, requesting to Opt Out. You can also call the number, (877) 292-3904 which is provided in the letter, or go to the website www.njaggregation.us/MOAEC also provided in the letter, and as a live link here, to register your Opt Out decision. No response from you means you will be automatically opted in. Most streetlight outages can be repaired within a few days, but sometimes it can take longer if equipment needs to be replaced. Together, we can keep the streets bright at night. • Call our automated outage reporting line at 1-888-LIGHTSS (1-888-544-4877). For faster service, use the phone number associated with your account and say “streetlight” after the greeting. Click on the link below to download a copy of our 2018 Water Quality Consumer Confidence Report. The report not only supports that we supply complient product, but if you review the numbers it's really a superior water quality based on the Federal and State drinking water standards. The Best Practices Checklist is required by the State to be completed each year to make sure Farmingdale is keeping up with some Best Practices. The number of questions this year is 25, which is a reduce amount from prior years. In order to receive final State aid in December, the Borough must get enough points on the Best Practice checklist. Farmingdale answered 25 questions and received 22 points. This will allow Farmingdale to be eligible for full State aide. It's been 200 days since Governor Murphy took office and promised to legalize recreational marijuana. Because of the support of volunteers and grassroots advocates like you, we've been successful in pushing back on the Big Marijuana industry and blocking their agenda. legalize recreational marijuana in the Garden State this summer. The marijuana industry is working with political bosses in New Jersey to pass legislation in August - when they think most New Jerseyans are on vacation and won't be paying attention. We are asking for your help to contact your legislators TODAY to let them know you're opposed to this dangerous proposal. Click here to either call or send a letter to your legislator. 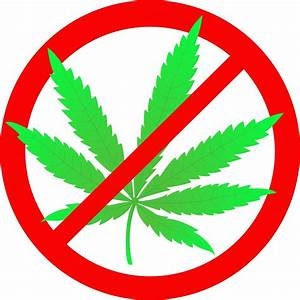 This is not a message about Govornor Murphy or any political party, its a message to show support that recreational marijuana has no place in our streets of Farmingdale. Tell them how we feel. Don't believe that legalization of marijuana is the wrong direction for NJ, please feel free to take a look at the two web sites below. The Mayor and Council feel very strongly that this legislation would be detremental to our citizens, not only of Farmingdale but all across the country.